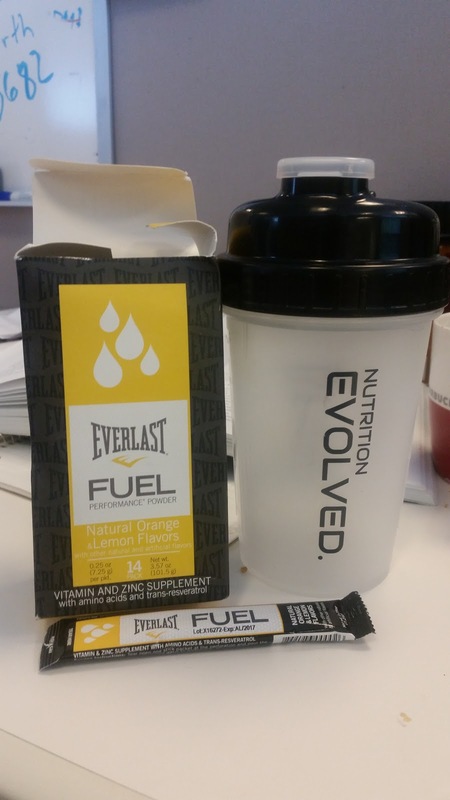 Disclaimer: I am an Everlast Nutrition Ambassador and earn commission on sales made with my discount code. The origin of the term ‘Brick’ for a bike-run workout has somewhat disputed origins, but I’ve always believed that it comes from the heavy feeling in your legs after you get off the bike and try to run - the legs feel like they’re made out of brick. You know what’s been giving me the brick feeling in my legs lately? Waking up in the morning. The last week I’ve woken up with legs that just don’t want to move, and it’s been disconcerting. I’ve known soreness in my time, but this seemed worse. I didn’t panic about it, since my legs seemed to work fine once I got moving, and by the time I was dressed each morning, I felt fine except for a bit of a tired feeling in the legs. Still, it was a wake-up call that maybe I need to be more formal and regimented in my efforts to recover post-workout; the volume of training has taken a sharp uptick, especially since the training program’s phase that would have had me ramping up more slowly coincided with our trip to Germany, where I’ve already documented I got less than the prescribed amount of training in. So on Friday, I took a 3-pronged approach to my 1 hour, 15 minute ride (accomplished by tacking on a little extra saddle time before and after a spin class). I wore 2XU compression sleeves on my calves (I mixed up the calf and hamstring compression sleeves when I packed my gym bag - the latter might have been better). 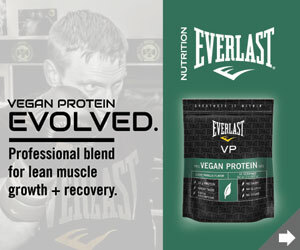 I drank a shake made with Everlast Nutrition VP Vegan Protein Powder. This time I simply mixed it with water and it was more pleasant to drink. Even though I got to bed late after a long drive up to the cottage, I felt great the next morning and totally rocked a brick workout on Muskoka’s hills, first thing in the morning! In addition to feeling validated about my recovery strategy, it was my first time taking Sable out on the road. I rode 30 km with an average speed of 25.9 km/h, which I never thought I’d manage on those Muskoka hills, and I still had enough gas in my tank to run 6 km with a 6:05 min/km pace after that. Now in addition to being recovered well, I had another weapon. Since I wanted to get a 3 hour ride in on Sunday, I knew I had to start playing around with taking in calories while on the bike. Sable isn’t kitted out with many accessories yet, so I don’t have any bottle cages or fuel boxes (aero or otherwise) attached to it. Instead I wore my hydration pack, and loaded it with Everlast FUEL. I’m a big fan of all-in-one solutions, and though you can take care of hydration, calorie intake and electrolyte balance with combination of drinks and/or gels, this product has BCAAs for the protein to start rebuilding muscle right away as well as vitamins to pre-charge the workout. So if I start sipping it before the ride, or as I’m putting the bike away, I’m doing myself good just as much as when I’m drinking during the workout. I used the brick to test it out before the long ride. I mixed two packets in about 24 ounces of cold water (measured with the free shaker I got when I ordered two boxes worth of Everlast FUEL). The taste reminded me of a milkshake I had the weekend before from Kawartha Dairy, obviously less creamy and not quite as tasty given that FUEL is not a milkshake made with real ice cream, but reminiscent of a Creamsicle - does anyone else remember those from when you were a kid? Anyway, it was tasty and no problem to digest. While my long ride (and Half-Iron race) nutrition strategy is a work in progress, I’m planning on drinking FUEL and some water, packing along some gels, and maybe a nutrition bar or two (lead contenders are CLIF and Go Macro). Getting that 3 hour ride on Sunday proved more challenging. There were threats of thunderstorms that seemed to be zeroing in on the time and place that I was planning to ride. We were going to go visit another cottage on the way home, and I opted to ride ahead on my bike. Altogether it was a good plan that let me get more riding in than one might expect, since with my wife and kids coming along the same route while having left an hour later, I was in perfect position for a rescue when the weather did turn nasty. In fact, I heard the first lightning strike just as the car pulled to a stop in front of me; it was a little shy of 2 hours on the road, and again I averaged close to 25 km/h. My neck was starting to wear down from aero position a little, and I’m looking forward to getting a proper fit in the near future, but again, I felt pretty strong and solid for the duration of the ride. I wish it was longer, but you can’t control the weather. If you’d like to help fuel your efforts or try the best tasting vegan protein on the market, be sure to enter IRONROGUE at checkout when you visit Everlast Nutrition. They’ve got a great sale with free shipping to the US on orders over $20 and a free Drink Shaker if you order 2 boxes of FUEL (the shaker worked great for mixing the fuel before I put it in my hydration pack). Use the code IRONROGUE at checkout for a discount!